Deciding you have an alcohol or drug addiction and considering a medical detox is the first step towards taking your life back. Detox at home by yourself. Medical detox as an inpatient. Medical detox as an outpatient. Feeling nervous about detox is normal, but we can help. Contact us to speak to a non-judgemental detox professional. Detox is when your body cleanses itself of drugs or alcohol and adjusts to your substance-abuse-free life. Withdrawal symptoms are part of the detox process. They occur when the body is thrown out of balance when a user abstains from drugs or alcohol. Detox is a crucial aspect of getting clean. It gives you time to readjust to sobriety and prepare for drug addiction treatment. Without detox, you are likely to continue abusing drugs and could face serious problems like cancer, organ failure, and damaged relationships. Alcohol elevates dopamine levels in the brain, making you happier, more confident, and more sociable. When alcohol leaves the body, the dopamine and those great feelings dissipate. Frequent drinking can make the brain expect the presence of alcohol and decrease natural dopamine production. The more you drink, the more tolerant you become, and the more dependent you get. Withdrawal symptoms begin when alcohol’s effects wear off. They can be tolerable to life-threatening. DIY alcohol withdrawal can be fatal. Complications can occur extremely quickly and without warning. If you are addicted to alcohol it is important for you to receive safe, supportive, and effective treatment in a professional, medical detox centre. What does alcohol detox feel like? Delirium tremens is the most serious alcohol withdrawal symptom. It can occur without warning and be fatal without professional treatment. Licenced medical staff can prescribe medications such as disulfiram, naltrexone, and acamprosate to help manage physical and psychological alcohol withdrawal symptoms. Disulfiram makes you feel sick if you drink, naltrexone reduces cravings and potential rewards by blocking opioid receptors in the brain, and acamprosate helps manage long-term withdrawal symptoms. 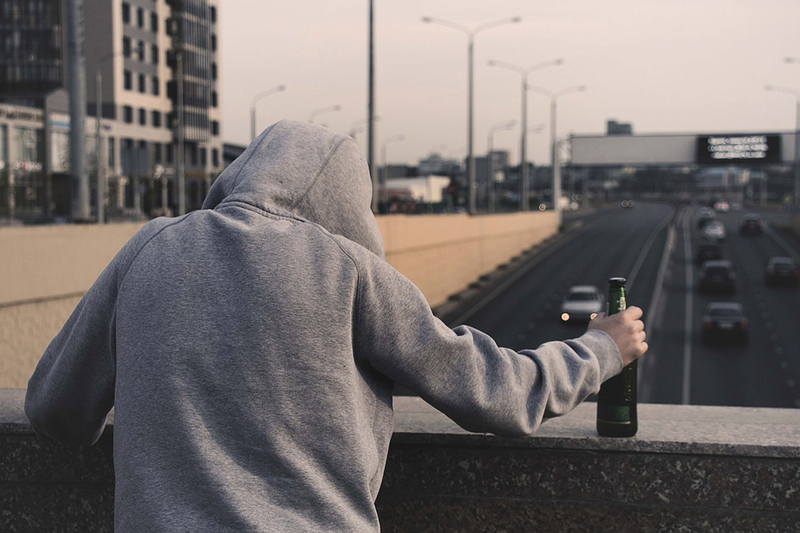 Alcohol withdrawal is influenced by many factors including how long you have been drinking, how much you drink each time, your medical history, your current stress levels, and whether or not you have a co-occurring mental disorder like anxiety, PTSD, or depression. There are three distinct stages of severity. If you are heavily dependent on alcohol, it is more likely you will experience severe withdrawal symptoms. If you are not so dependent, your withdrawal may be quicker and more manageable. Stage One begins around eight hours after you last drank alcohol. You may experience anxiety, nausea, insomnia and abdominal pain. Stage Two begins 24 to 72 hours after you last drank alcohol. Your blood pressure, temperature, and respiration rate may increase. You might experience confusion, irregular heart rate, and heightened mood disturbances. Stage Three begins around 72 hours after you last drank alcohol. You could experience agitation, hallucinations, fever, severe confusion, and seizures. Most alcohol withdrawal symptoms usually decrease around five to seven days after Stage Three. Psychological withdrawal symptoms may linger for several weeks without treatment. 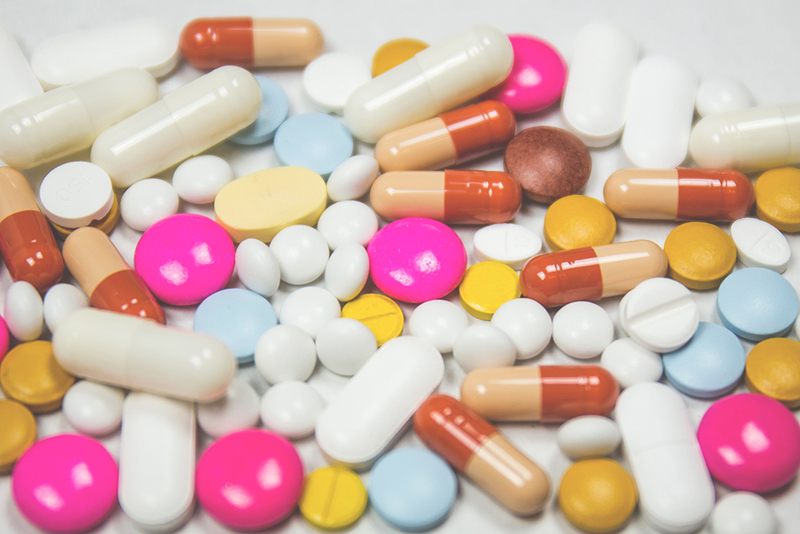 The most frequently abused prescription drugs include opioid painkillers, anti-anxiety meds (usually benzodiazepines), sedatives, and stimulants. Withdrawal symptoms and timelines vary depending on which prescription drug you are detoxing from and how long you have been using. Different drugs and different people require different detox approaches. A detox professional will help you decide what is best for your unique situation. Barbiturates are highly addictive psychoactive sedatives. They slow down bodily functions and increase dopamine release. Drug detox can be fatal and should be medically supervised. Medical detox is easiest for stimulant addiction. Experts can assess whether you should go cold turkey, taper your doses, or use addiction treatment medication like suboxone. If your withdrawal causes depression or anxiety, they can give you therapy and prescribe anti-depressant medications. Benzodiazepines (benzos) are addictive prescription drugs like Xanax (alprazolam), Valium (diazepam), Klonopin (clonazepam), Ativan (lorazepam), and Ambien (zolpidem). The Royal College of Psychologists report that approximately four out of every ten people who take benzos every day for six weeks will develop an addiction. Benzos are normally used in carefully controlled doses to treat seizures, muscle tension, anxiety, stress disorders, insomnia, and alcohol withdrawal. They work on the central nervous system to decrease anxiety, ease troubled thoughts, relax muscles, and produce sedation. They also produce mild to moderate euphoria which can be irresistible to those at risk of addiction. Benzo addiction can and must be treated. People develop tolerance to benzos quickly, which causes them to use higher and higher quantities. Large amounts can cause severe tiredness, confusion, clumsiness, fainting, weakness, and even coma. Benzos and alcohol combined can result in respiratory suppression and death. Addicts often end up turning to other drugs like heroin or cocaine when they develop high tolerance to benzos. What does prescription drug detox feel like? Barbiturate withdrawal symptoms include anxiety, insomnia, slow breathing, agitation, high temperature, respiratory depression, respiratory arrest, shakes, tremors, hallucinations, violent behaviour, and seizure. Coma and death are possible without medical supervision. Some benzo withdrawal symptoms, such as grand mal seizures, can be life-threatening. Detox professionals will help you find the best way to get clean of benzos. How long does prescription drug detox take? Barbiturate withdrawal symptoms usually begin 24 to 72 hours after your last dose. Symptoms are typically at their most severe during this time. The first week may continue to be difficult and potentially dangerous, but by week two the risk of seizure and serious complication is usually much lower. Physical symptoms should begin to fade during weeks three and four, but psychological issues may still be present and should be treated in an addiction programme. Stimulant withdrawal symptoms usually begin within a few hours to a few days after your last dose and be at their most intense after one week. Most stimulant detoxes are completed in around a week, but it can take longer if your addiction is severe. Psychological symptoms like depression can last for weeks or months, so it is important to make arrangements for addiction treatment at a drug addiction rehab centre immediately after your medical detox. Benzo withdrawal symptoms begin around one to four days after your last dose and are at their worst in two weeks. Long-term symptoms can last from a month to a year. Timelines vary depending on how you have been using benzos. Psychological withdrawal symptoms like anxiety can last for months or even years, but can be managed with an addiction recovery programme, long-term mental wellness strategies, and relapse prevention. Opioid drugs like heroin, fentanyl, morphine, codeine, OxyContin, and Vicodin numb pain and increase feelings of pleasure. They are intensely addictive. According to USA Today, heroin use is on the rise. Doctors are writing fewer opioid-related pain medication prescriptions for their patients in response to growing awareness about the risk of addiction and overdose to them. Many people addicted to pain medication are now using heroin instead. What does opioid detox feel like? Opioid withdrawal severity and duration varies depending on which drug you use and how dependent you are. If you have been abusing opioids in huge doses for a long time your withdrawal may be more uncomfortable than someone who only used a few times. Withdrawal can be difficult alone. The complications could be life-threatening. If you are dependent, it’s recommendable to seek medical detox. Withdrawal symptoms begin when the drug is no longer present in your bloodstream. Heroin is a short-acting opioid and leaves the body fairly quickly, whereas morphine takes a lot longer. 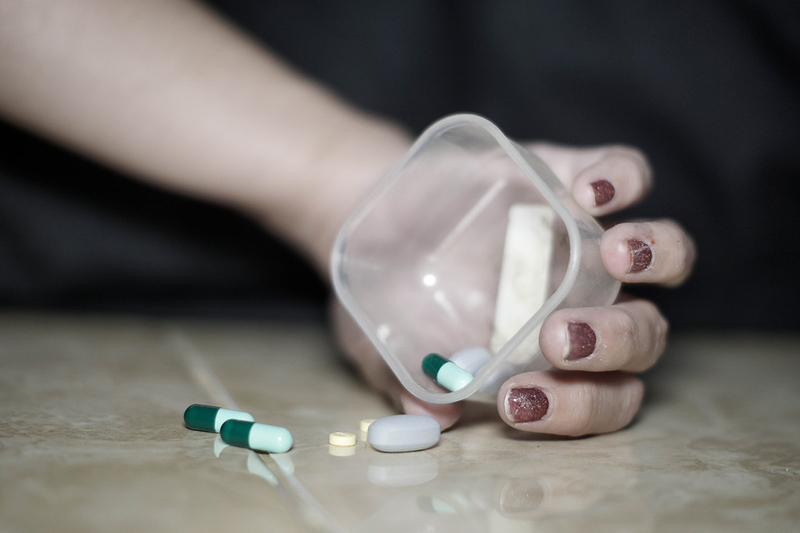 Heroin withdrawal symptoms will begin around six to twelve hours after your last dose, be at their worst in two to three days, and last five to ten days altogether. Most people take five to seven days to complete a medical heroin detox, but timelines may vary depending on your unique situation. Evaluation.A doctor conducts alcohol and drug tests, assesses your current mental health, discusses existing medical issues, and decides the most appropriate course of action for your situation. Stabilisation.The medical detox process begins. Medical staff acclimate you to the process, keep you as comfortable as possible, and treat withdrawal symptoms and complications. They may prescribe medication to help you recover more effectively. Build willingness for further treatment.Your doctors and nurses prepare you physically and mentally for addiction treatment, which typically starts immediately after medical detox is complete. At-home, inpatient, or outpatient detox? It is possible to detox at home alone, but it is not always the safest, most comfortable, or most effective option. Detoxes can be physically and mentally uncomfortable, complications can occur without warning, and you could even end up in a coma or worse. Even if everything goes according to plan, intense drug and alcohol cravings can derail any progress you make. Medical professionals supervise inpatient and outpatient detox. The aim is to relieve uncomfortable withdrawal symptoms, treat physical or psychological complications, and prepare you for addiction treatment in a drug and alcohol addiction rehab centre. Medical supervision could mean the difference between life and death detoxes can be fatal, especially if you go cold turkey. Inpatient treatment gives you the best chance of successful detox. It takes place inside a detox centre with physicians and nurses on-hand 24/7. You receive treatment for complications as soon as they occur. Specialist equipment monitors your vital signs, administers intravenous medication, and keeps you hydrated. Inpatient detox is the right choice if you are heavily addicted, have tried to detox before and failed, have been using for a long time, or are addicted to multiple substances. 24/7 medical care facilitates the detox, reduces suffering, and helps ensure your wellbeing. As an inpatient, you are removed from negative influences, stressful situations, and all access to alcohol and drugs. Healthy meals and supplements are provided. Everything is taken care of so you can concentrate on one thing getting better. Outpatient treatment involves seeing a doctor, receiving a medical detox treatment plan, and checking in with them regularly until you are clean. If you choose outpatient detox, you will almost certainly begin therapy as soon as you begin detoxing, because it is much more difficult to resist the temptation to use when you are surrounded by your old triggers. In the first few days of outpatient detox, your doctor supports you through withdrawal symptoms and provides you with physical and mental support. After the first few days, you will be able to take a more active role in your outpatient detox and therapy. Your doctor may give you a healthy meal plan, vitamin supplements, and strict instructions to drink plenty of water. After medical detox, the next step is to begin addiction treatment at a drug and alcohol addiction rehab centre. Unfortunately, detox centres are rarely onsite, which makes the transition from detox to treatment awkward and uncomfortable. You will almost certainly continue to crave drugs or alcohol after completing your medical detox. For this reason, addiction treatment in a drug and alcohol rehab centre is the necessary next step. If you decide to forgo treatment, it is highly likely that you will fall right back into alcohol or drug abuse. An addiction treatment programme at a drug and alcohol rehab centre will assist your successful, ongoing recovery. Your treatment may include medication, exercise, healthy eating, meditation, exploring new interests, and various types of therapy to help you overcome the thought patterns that led to addiction. You will also learn relapse prevention strategies. At The Dawn, we offer effective medical detox and tailored 30-day addiction treatment programmes at our affordable luxury rehab in the heart of Northern Thailand. We are Asia’s leading addiction treatment centre with the most cutting-edge technologies and treatments for addiction and co-occurring disorders like anxiety, depression, and trauma at our disposal. Our experienced, UK- and USA-trained staff understand that every person has a unique situation, so we personalise our programmes to suit every client’s needs. Our luxury inpatient services are a quarter of the price of many Western centres in Australia, the UK, and USA. It takes a lot of courage to seek help overcoming an addiction. If you are ready to take that first step towards taking your life back, we can help. Contact us today.